It’s been a few months, but my memory of my trip to the south of France is still vivid! I really do search far and wide to satisfy my sweet tooth. Although the French bakeries were not bursting with cupcakes, they had several delicious sweet treats! 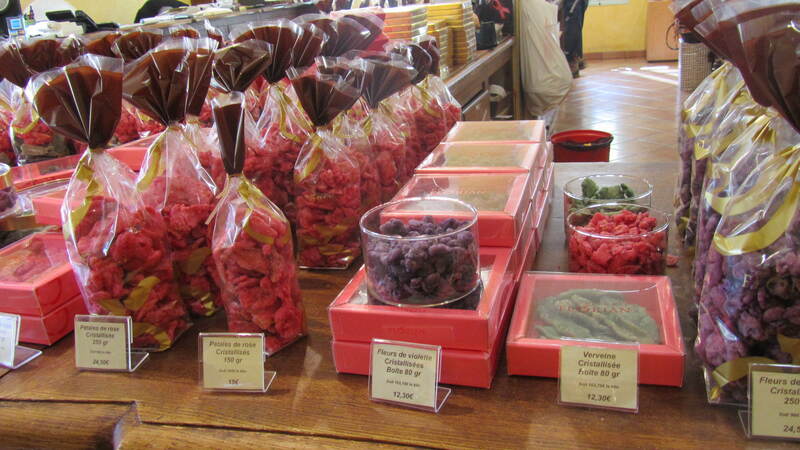 It would be a sin to visit France and not taste this French confection. 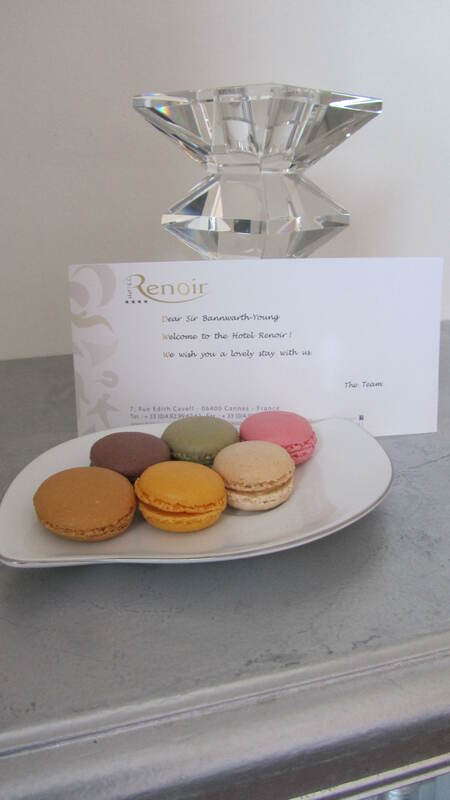 Our hotel had a plate of macarons waiting for our arrival at Hotel Renoir! Everywhere I went, there was chocolate! Big, small, round, square – you name it! 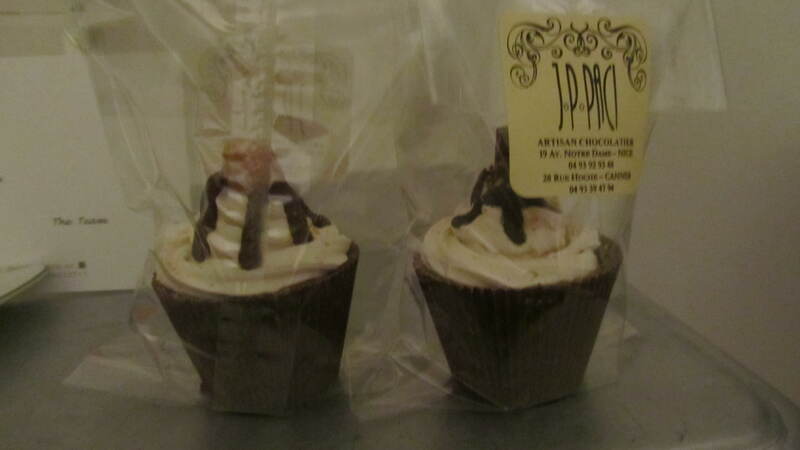 Although I did not find your traditional cupcake, I found a solid chocolate cupcake! This trip definitely went down in my history book as one of my favorite vacations. With our home base of Cannes, we toured the Île Saint Honorat, Gourdon, Saint-Paul-de-Vence, Èze. Antibes, Nice, Monaco, and Monte Carlo. The views, the food, the fashion, the luxury – I completely understand why this region is a hot spot for all worldly people! I wish I could post ALL the photos from my fabulous trip, but that would make for a really long post. 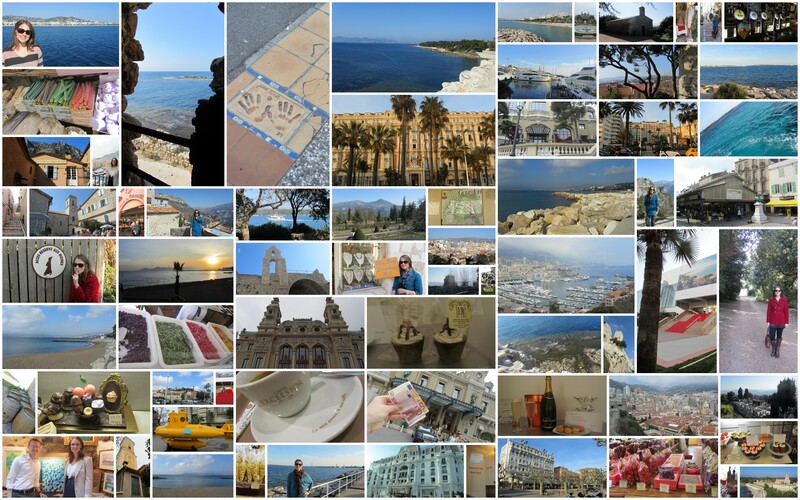 Here’s a beautiful collage that captures the highlights of my trip! !